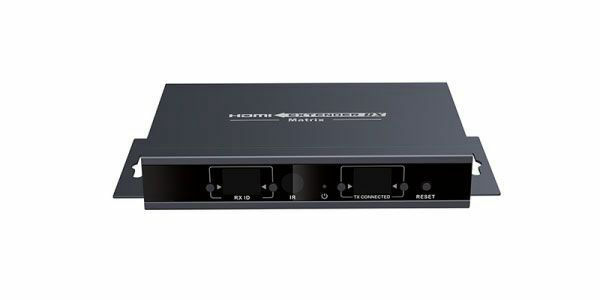 SINEW HD-370-4 1x 4 HDMI Splitter distributes 1 HDMI source to 4 HDMI displays simultaneously. It offers HD video solution for schools, tourist attraction, hotels, shops, entertainment places, transportations, hospitals and so on; HDTV, STB, DVD and projector factory; data control center; information distribution; conference room presentation; education and training, corporation show room, luxurious house, etc. Its supported resolutions id up to 4K@60Hz and HDCP2.2 Meanwhile, it supports latest 3D application. SINEW HD-370-8 1x 8 HDMI Splitter distributes 1 HDMI source to 8 HDMI displays simultaneously. It offers HD video solution for schools, tourist attraction, hotels, shops, entertainment places, transportations, hospitals and so on; HDTV, STB, DVD and projector factory; data control center; information distribution; conference room presentation; education and training, corporation show room, luxurious house,etc. Its supported resolutions id up to 4K@60Hz and HDCP2.2 Meanwhile, it supports latest 3D application.